Mini warmers fit perfectly into your pockets, gloves and Secret Pocket Clothing. Mini Warmers last up to 8 hours each. large size warmers are extra energy packed to give you up to 24 hours of continuous warmth. Take these large warmers on your longer trips to keep you warm while hunting, skiing, snow boarding, or even working. 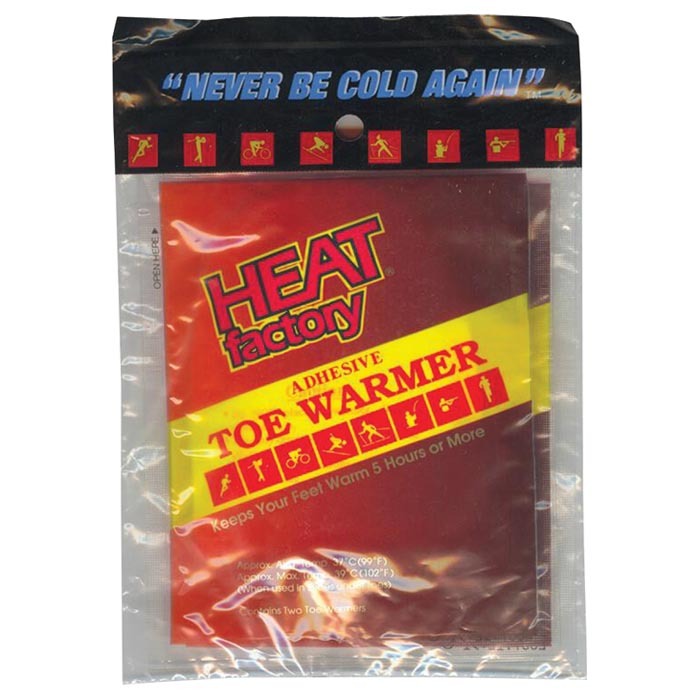 Toe Warmers are designed to stick to the bottom of your sock and warm your feet in the coldest of conditions, last up to 5 hours.